The Batwa pygmies were the traditional forest dwellers before the national parks were gazetted and after the introduction of tourism, the Batwa were evicted to the edges of the forest and forced to adapt to living conditions they were not used to and comfortable with. 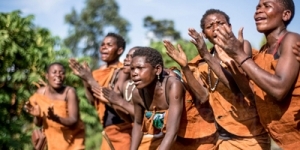 While interacting with them, the Batwa introduce travellers to their customary forest life in the form of dances, poems, songs, stories, hunting, making fires and gathering fruits. In order to improve the Batwa’s standard of living, various activities such as the Batwa cultural trail and the Buniga forest walks have been introduced. The Batwa take the lead in these activities, which earn them a living to support their families. On one of these experiences travellers can feel part of the community.